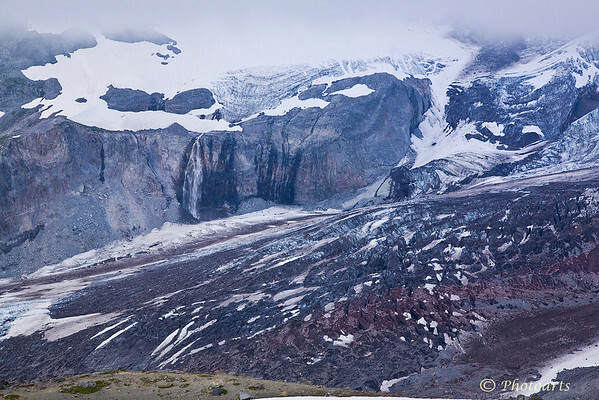 Nisqually Glacier melts away under late summer cloudy skies in Mt. Rainier National Park's paradise area. Super shot; almost an abstract!